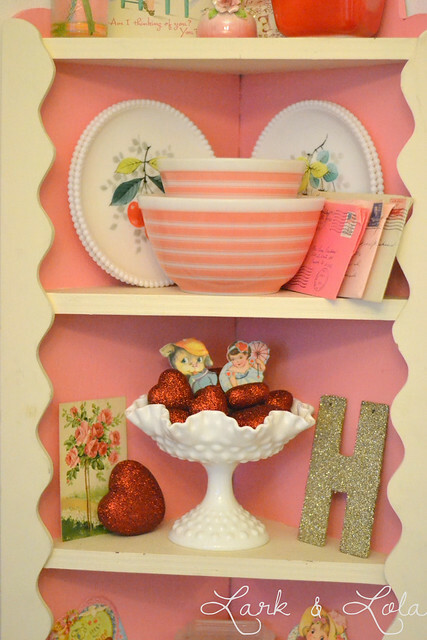 This morning I decided to redecorate my cute little corner shelves for next month's special holiday. 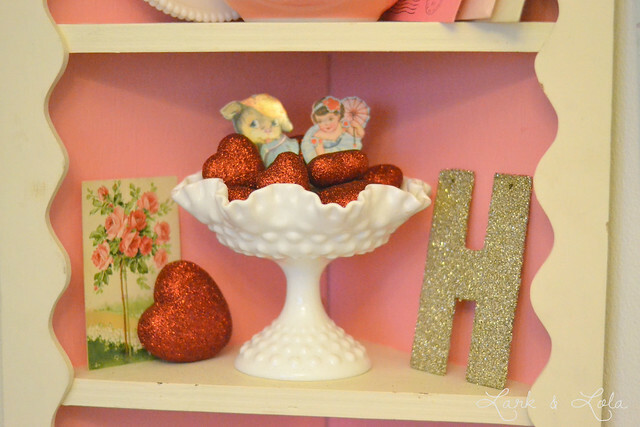 I just love the vintage Valentine style. makes a great dish to hold my hearts. 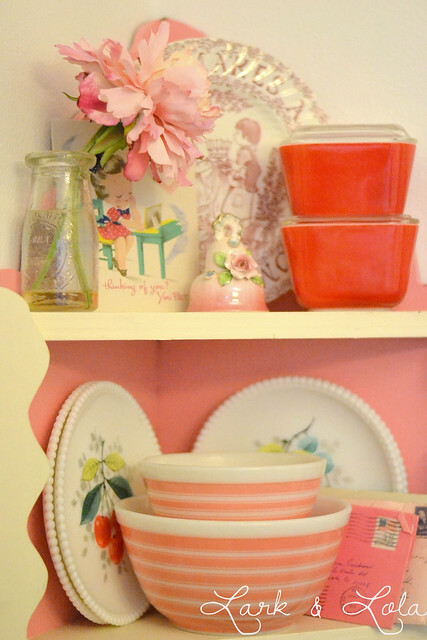 Of course a good Valentine's Day display would be blah without a little pink & red PYREX, am I right? I don't always use my red pieces, but they've gotten a lot of attention lately due to the holidays. I also threw up a few new frames with some art I cut out of my 2012 Papaya calendar. I LOVE my Papaya calendars. 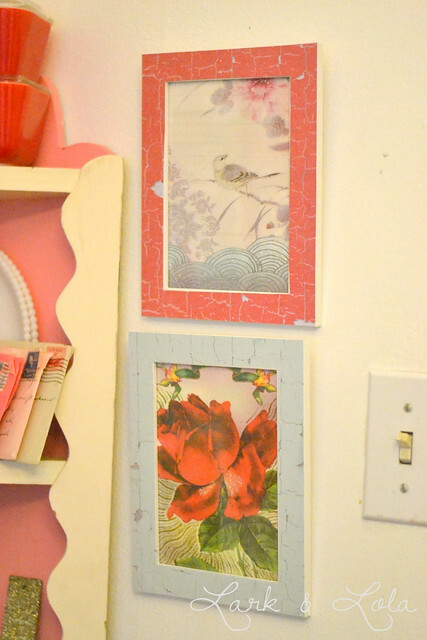 As you can see below, I just took a couple cheapo IKEA frames and Mod Podge'd some pretty paper to them for a little dress up. 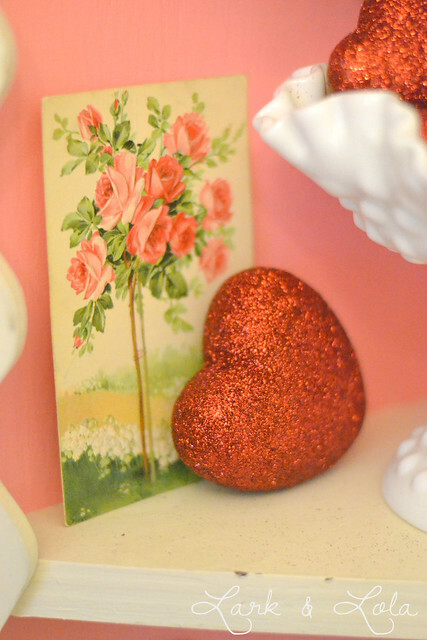 What are you putting up for Valentine's Day? The vintage tumblers and the bell? I feel so very cool now :) Love your arrangement. Can you come do mine now? New vignettes every month are so much fun. Those little tumblers are the cutest yet! Can't tell if they're plastic or glass but either way they are cute! 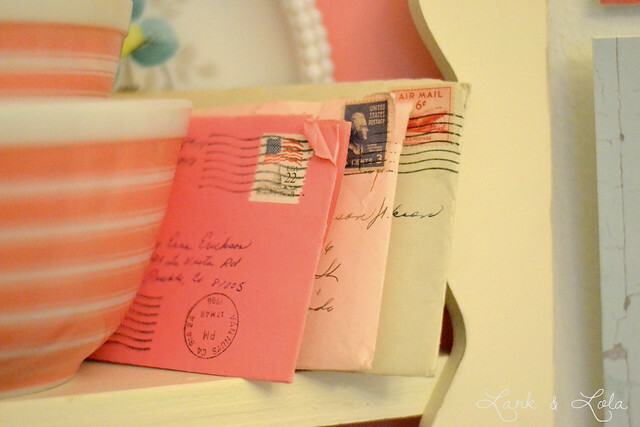 This vignette is too cute! Nicely done! Just this morning I was thinking of bypassing Valentines Day decorations this year. I just got my house back in order from Christmas and the thought of rearranging AGAIN didn't sound too fun. Well after reading your post, my thoughts have changed completely! Decorating with Pyrex? Sounds perfect to me! 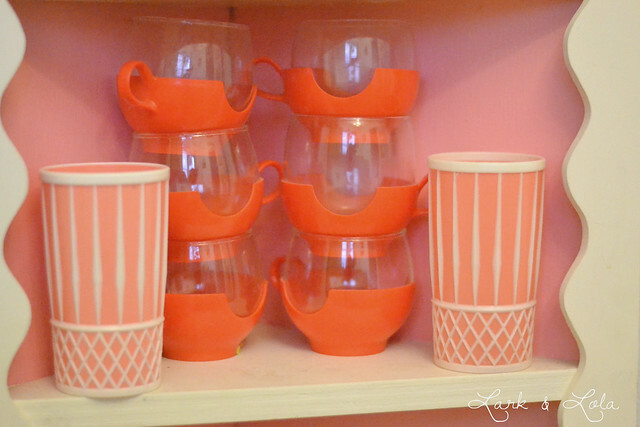 I collect pink and keep it displayed in my kitchen at all times so I already have a head start. 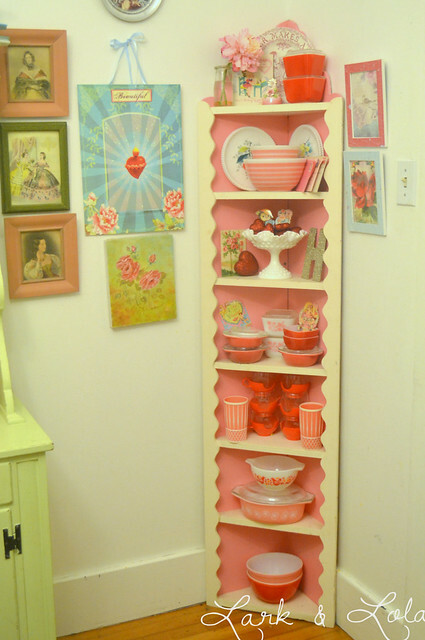 Love the corner cabinet. I haven't pulled out my valentine's decor yet but now you have inspired me! I love how it looks. The frames are really cute too! Ahh, storage space can really be a problem, can't it? 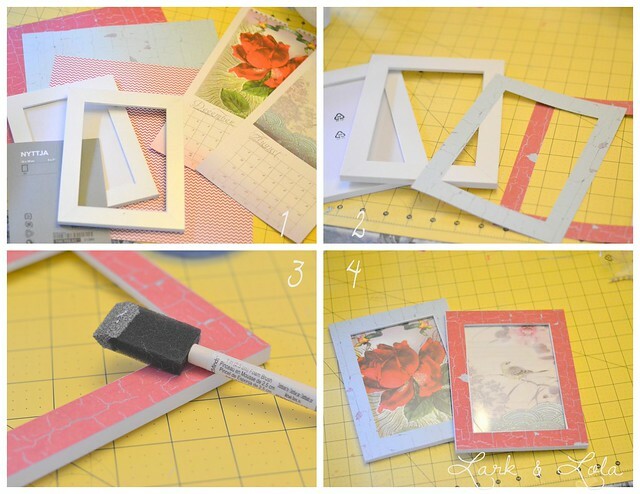 Have you thought about just keeping one decorative garland for each holiday at least? 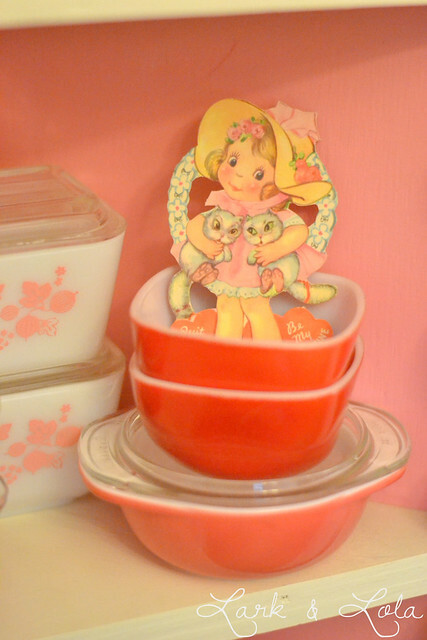 Glad you like my vintage dishes :) and thanks so much for the comment!